Description: A detail of the Eiffel tower in Paris, France. 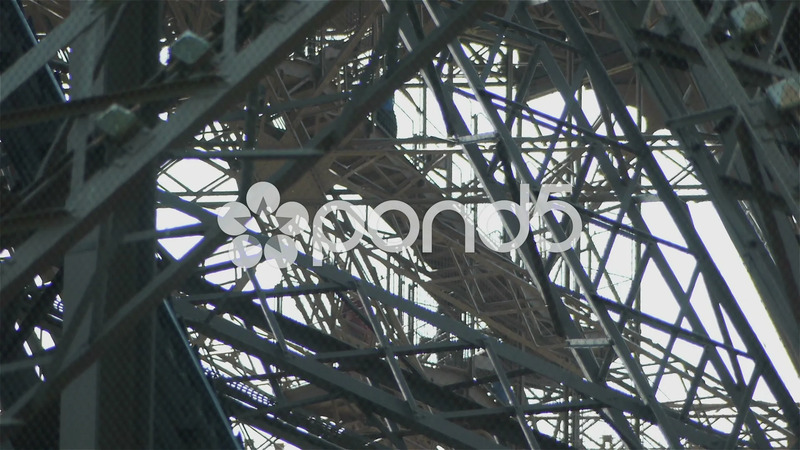 The shot is taken from a low angle upward at the Eiffel tower. You see the steel construction, cables and the engineering. Some people are passing by at the stairs in the base of the Eiffel tower.